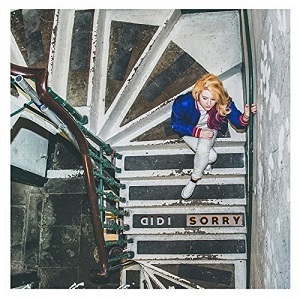 DIDI - Sorry - Alternative Tracks "In a music world of ‘junk food’ pop (quickly produced, poor quality and easily forgotten) I want to support alternative tracks I believe do deserve to be listened to"
Built round an edgy, rapid whirlpool of guitar riffs, and driven by pristine vocals that are delivered with plenty of bullish attitude, this is a confident debut release from DIDI. With her musical influences ranging from Royal Blood to Tegan and Sara, Sorry falls somewhere in the middle, addictive enough for pop fans, but with enough rawness to influence indie-rock listeners. Although this is the first release from DIDI, real name Lauren Deakin Davies, this is an ambitious young lady with an already deep understanding of the music business. She is Currently Working as a producer at Folkstock Records, and the youngest full member of the Music Producers Guild. Along with this track, DIDI has recently releases three remixes of the single, each one worthy of a listen. Check out the single and the remixes below.